The ZMOD4410 Gas Sensor Module is designed for detecting totalvolatile organic compounds (TVOC) and monitoring indoor airquality (IAQ) in different use cases. 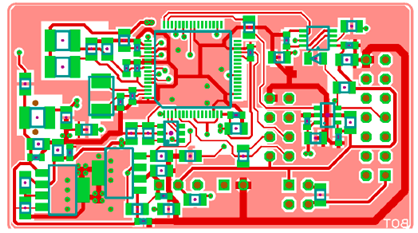 It is a 12-pin LGA assembly(3.0 x 3.0 x 0.7 mm) that consists of a gas sense element and a CMOS signal conditioning IC. 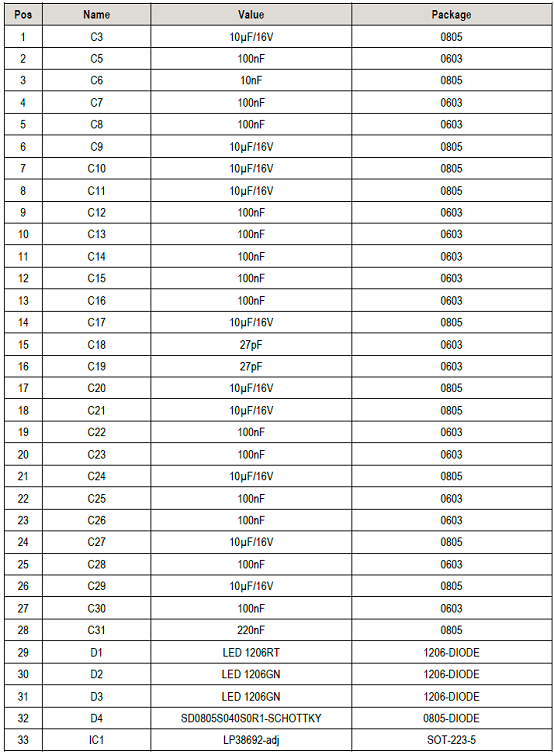 The module’s sense element consistsof heater element on a Si-based MEMS structure and a metaloxide (MOx) chemiresistor. The signal onditioner controls thesensor temperature and measures the MOx conductivity, which isa function of the gas concentration. The measurement results can be read via an I2C interface with theuser’s microprocessor, which processes the data to determine theTVOC concentration, IAQ rating, and stimated carbon dioxide(eCO2) level. Alternatively, depending on the operation mode, the ZMOD4410 software can generate a control signal, which cantrigger actions based on odor levels. With its low operating currentconsumption, the ZMOD4410 is an excellent choice for low-voltageand low-power battery applications. 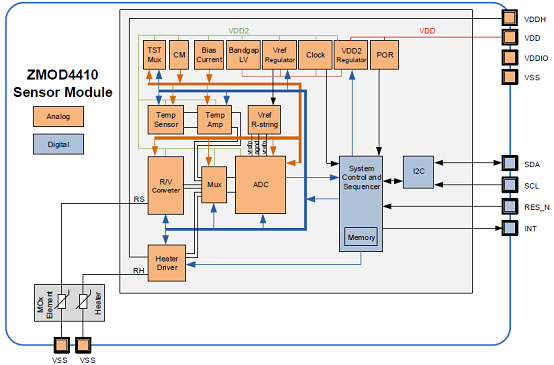 Built-in nonvolatile memory (NVM) stores the configuration and provides space for arbitraryuser data. 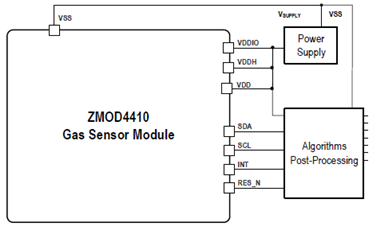 The ZMOD4410 Evaluation Kit (EVK) is designed for evaluating IDT’s ZMOD4410 Gas Sensor Module for TVOC. The total volatile organic compounds (TVOC) measurement is one of the indicators for indoor air quality (IAQ). In addition, a measurement mode is provided to trigger an external device (e.g., fan, ventilation) based on the air quality change. The ZMOD4410 Evaluation Software allows Windows®-based operating systems to communicate with the ZMOD4410 EVK via a USB connection on the user’s computer, which functions as a master. The software and additional related documentation is available on the IDT website. 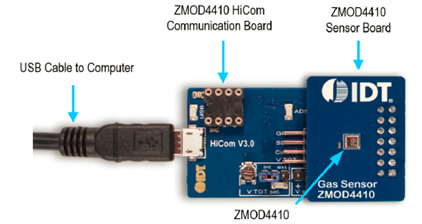 The EVK’s Communication Board (HiCom) handles the interface between the user’s computer and the ZMOD4410 module mounted on the ZMOD4410 Sensor Board (Daughter Board). 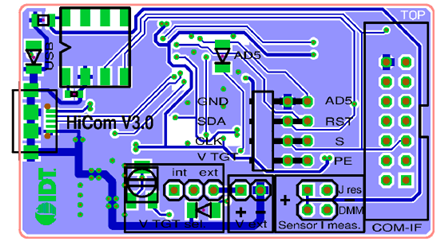 Note: Only one Communication Board with one Sensor Board can be connected to the computer at a time. 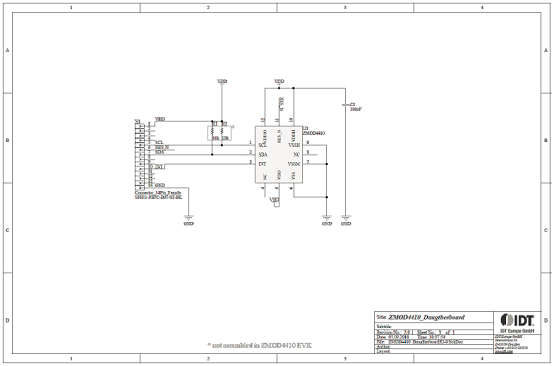 The ZMOD4410 Evaluation Kit uses an FTDI controller on the Communication Board to handle the USB protocol, translate communications, and synchronize communications with the I2C interface. 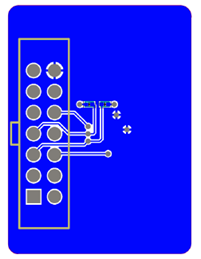 The Sensor Board includes a decoupling capacitor. The Communication Board has devices mounted on both sides. 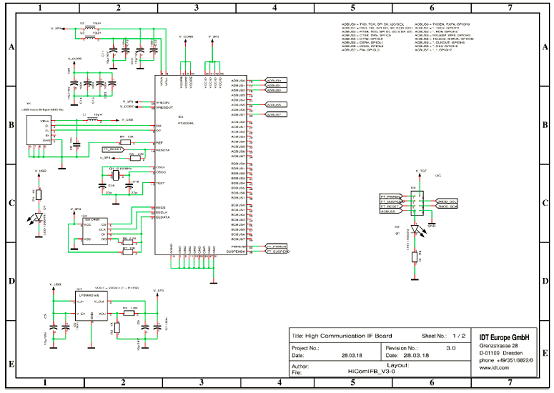 The components on the top side generate a stable supply voltage. A potentiometer can be used to adjust the internal supply voltage in the typical range from 1.7V to 3.6V. 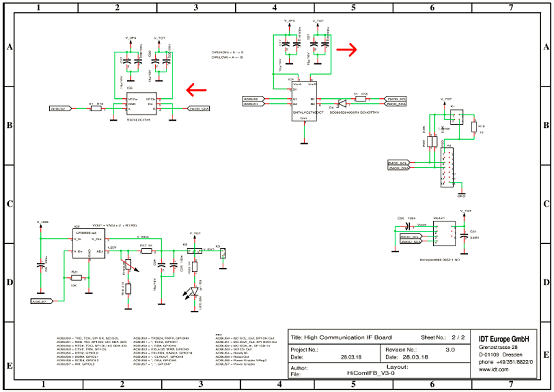 Alternatively, the user’s external supply voltage can be used. The intensity of the adjacent LED is proportional to the supply voltage. 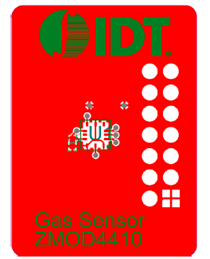  The required ZMOD4410 Evaluation Software is available for download on the IDT website, which also provides background information on TVOC, gas sensing, and sensor programming. 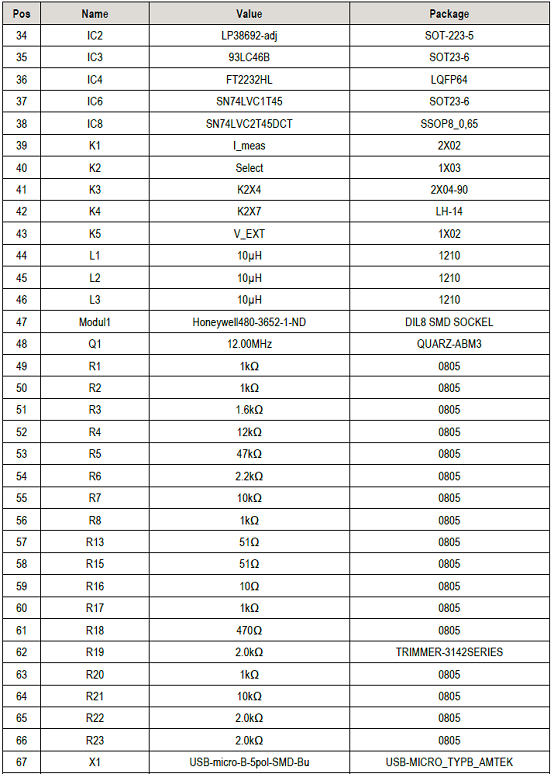  The bill of materials (BOM) and schematics for the ZMOD4410 Communication Board and Sensor Board are provided at www.IDT.com/ZMOD4410-EVK.